On your marks... Get set... Not quite yet go... But it's definitely go for the Samsung Galaxy Note 8 at 11:00 AM EDT (that's 8:00 AM PDT or 5:00 PM in the UK) on Wednesday August 23. Scroll down to find out how you can tune in for the eagerly anticipated launch event to make sure you don't miss a thing! Taking place in New York, Samsung's Galaxy Unpacked event is expected to be watched by thousands of fans of the Note series across the globe. After the Galaxy Note 7 fiasco, Samsung simply cannot afford to make a single mistake with the Note 8. Samsung can expect fans to scrutinize this new phone, although you can bet that Samsung will have tested everything through a million times before this device becomes available on the market. Because of this, we might not be able to expect any huge innovations, as Samsung is likely to play it cool for a bit, to regain users' trust in light of the exploding Note 7. When is the Galaxy Unpacked event for the Galaxy Note 8? As mentoined above, the Galaxy Unpacked event will take place in New York today Wednesday August 23 at 11:00 AM EDT. How can you watch the Galaxy Unpacked live stream event in real time? You have a few options for watching the unveiling of the Note 8. Samsung has released a free app for iOS and Android called Unpacked 2017. This app contains all the latest information on Samsung's conference and you'll be able to watch it live through the app. In addition to its app, Samsung has launched a website for the event on which you'll be able to watch the Galaxy Unpacked 2017 event live. Samsung will air the event in real time on the official Samsung YouTube channel. At the time of writing this article, the link wasn't available yet, but we'll add it in as soon as we have it. 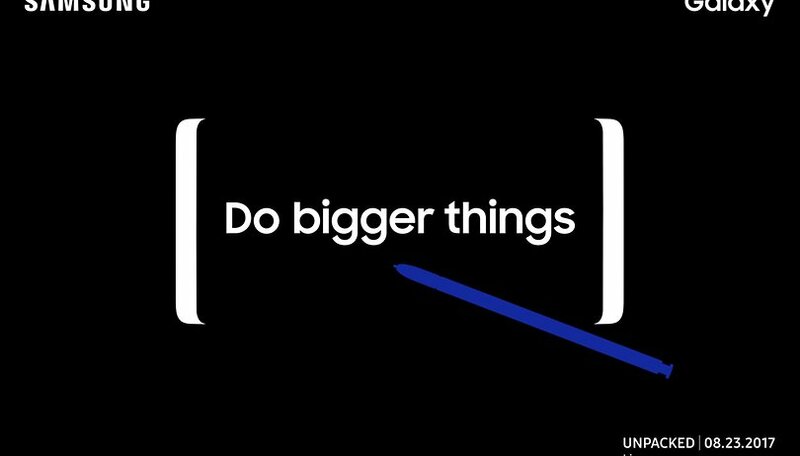 Are you going to watch the Galaxy Note 8 launch event? Well it's finally here. The return of the infamous s pen. 6gb's of power. Duel camera's, telephoto & wide angle. OIS on both. A 6.3 infinity display and all the premium features you could ask for. Now the million dollar question is it worth the money? Probably not, but show me another phones with all these features. Maybe the V30, the pixal2 or the iphone8. All we can do is wait & see! For myself, my money is on the note!